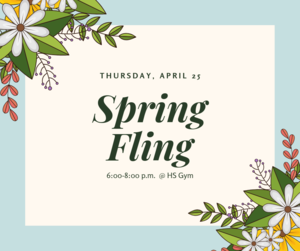 Middle School Spring Fling Thursday, April 25! 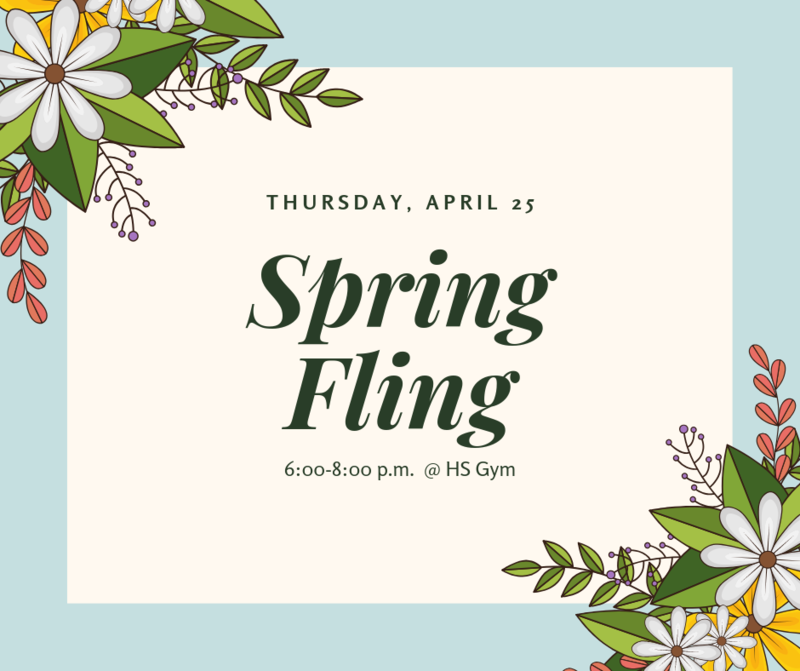 The Middle School Spring Fling will be on Thursday, April 25th in the High School Gym. Pictures will be taken at 5:30 in the foyer of the gym, and the dance will be from 6:00 to 8:00. All students must meet the dress code policy. Church dresses and suits are appropriate.